NDH / Rouge-gorge is a project-based creation production company led by Co -Artistic Directors Robin Poitras and renowned visual artist Edward Poitras. Launched in 2009, Rouge-gorge is a foundation for research, creation, production and touring. The company produces contemporary dance and performance works by Robin Poitras, Edward Poitras, and guest artists. Traversing between the fields of dance and performance art, Robin’s work brings elements of visual and performance art into an inseparable arena. Intense collaboration with artists in dance, theatre, visual, music, and performance art is a mark of Robin’s creative practice. Robin Poitras is one of Saskatchewan’s most prolific dance and performance creators. Creating dance, performance and installation works, she has been actively engaged in contemporary dance practice since the early 80s. For many years Robin has traversed the formal worlds of dance and performance art. She co-founded New Dance Horizons in 1986, with Dianne Fraser where she continues to act as Artistic Director. With an interest in research into diverse fields of artistic and somatic practice she has developed a unique interdisciplinary approach. Robin’s works have been presented across Canada, in Spain, France, Germany, Mongolia and Mexico. She is a recipient of the 2016 Lieutenant Governor’s Lifetime Achievement Award, the 2006 Mayor’s Awards for Business & The Arts’ Lifetime Achievement Award, and the 2004 Women of Distinction Award for the Arts. Edward Poitras is a member of the George Gordon First Nation and resident of Treaty Four Territory. He is an artist who has always recognized his mixed heritage – Métis/Cree/Saulteaux – as a powerful source of energy, creativity and contradiction. Poitras was born in 1953 in Regina. In 1974 he studied with Sarain Stump at the Indian Art Program at the Saskatchewan Indian Cultural College in Saskatoon, Saskatchewan where he was introduced to diverse artistic and philosophical approaches that continue to inform his art practice. In 1975–76, Poitras attended Manitou College in La Macaza, Quebec, where Mexican Aboriginal artist Domingo Cisneros imparted an experimental approach to materials and introduced Poitras to the Quebecois performance art scene. Following this time in Quebec, Poitras taught at the Saskatchewan Indian Cultural College and at the University of Manitoba. During much of the 1980s, he taught at the Saskatchewan Indian Federated College, University of Regina (now First Nations University of Canada). Poitras worked as a graphic designer for New Breed Magazine in the 1980s. Poitras has since remained connected to his community, exhibiting with and mentoring emerging artists through his involvement with groups including Tribe Inc. (Saskatoon), Sâkêwêwak Artists’ Collective (Regina), and New Dance Horizons (Regina). Since the early 1980s Poitras’ “artistic benchmark [has been] his masterful ability to combine seemingly contradictory materials” such as fiberglass, circuit boards and magnetic tape with bone, horse hair and rawhide. His work examines complex issues of history and identity, and their connection(s) with place. As critic Nancy Tousley observes, his “family and regional history are [often] interwoven with references to the story of Aboriginal people in the Americas.” Themes of colonization, assimilation, integration, genocide, displacement, migration, survival, nationalism and transnationalism permeate his work as he explores tensions, contradictions, narratives and interactions. Poitras has exhibited extensively across Canada, as well as in the United States and Europe. His selection as the first Aboriginal artist to represent Canada at the prestigious Venice Biennale marks a recognition of his distinctive contribution to the questions of “Identity and Alterity,” the theme of the 1995 Biennale. His other solo exhibitions include: Qu’Appelle: Tales of Two Valleys, Mendel Art Gallery, Saskatoon (2002); RESIG/NATION, Galerie Le lieu, Quebec City (2000); The Politics of Land, an earthwork at Wanuskewin Heritage Park, Saskatoon (1998); Jaw Rez, Canadian Museum of Civilization, Gatineau and MacKenzie Art Gallery, Regina (1996); Marginal Recession, Dunlop Art Gallery, Regina (1991); Et in America Ego, Art Speak, Vancouver (1989); and Indian Territory, Mendel Art Gallery, Saskatoon (1988). Among group exhibitions, nearly every major contemporary Native art exhibit since 1980 has featured his work, notably: New Work by a New Generation, MacKenzie Art Gallery, Regina (1982); INDIGENA, Canadian Museum of Civilization, Gatineau (1992); and Close Encounters: The Next 500 Years, Plug In ICA, Winnipeg (2011). Internationally, his work has been shown in Santa Fe, Paris, Munster, Havana, New York and Tampere, Finland. His work may be found in the collections of the Canadian Museum of Civilization, MacKenzie Art Gallery, National Gallery of Canada, and National Museum of the American Indian (Washington, DC), among others. Throughout his career, Poitras has been instrumental in organizing, producing, and participating in performance art, dance, and theatre works. He has created a number of sets, costumes and light designs in collaboration with various artists, including: Floyd Favel Star, Richard Martel, Benoit Lachambre, Jocelyn Montpetit, Bill Coleman, Boye Ladd, Bruce LaBruce, and Robin Poitras. 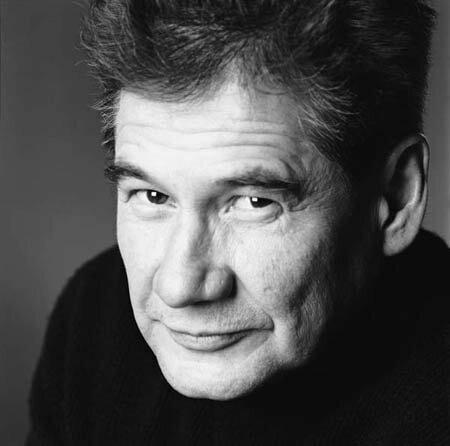 Edward Poitras is a recipient of the Governor General’s Award in Visual Arts (2002), the Lieutenant Governor of Saskatchewan Arts Award for Innovation (2005), and a Eiteljorg Fellowship for Native American Fine Art (2009).